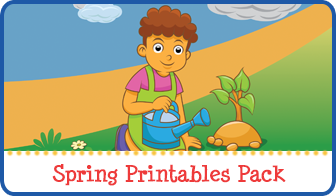 It is summertime, which means it’s time to get outside and enjoy our meals, picnic-style! 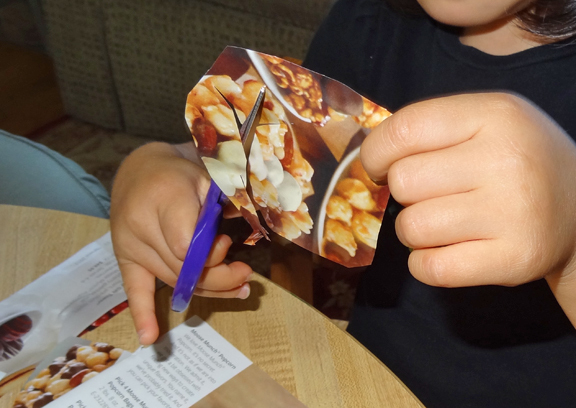 To capitalize on my kids’ interest in eating picnic-style, we recently created our own picnic craft. We started by reading The Teddy Bears’ Picnic by Jimmy Kennedy. It’s a classic story that I remember reading with my second grade teacher oh so long ago. 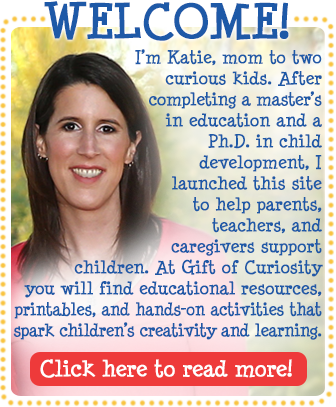 I was so excited to share it with my kids since I had such fond memories of it. The melodic text and the images of bears coming from all over the world to gather for an annual picnic is so much fun. 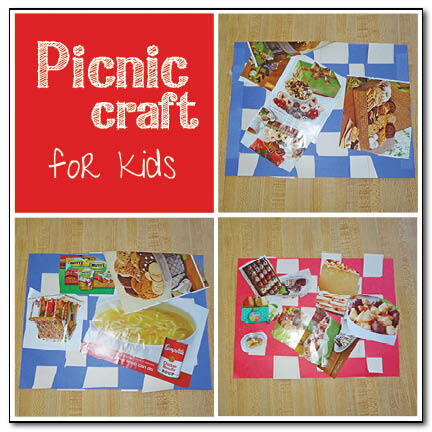 After we read, we did a picnic craft. The night before, I had prepared some materials. First, I drew lines across the width of two sheets of white construction paper. 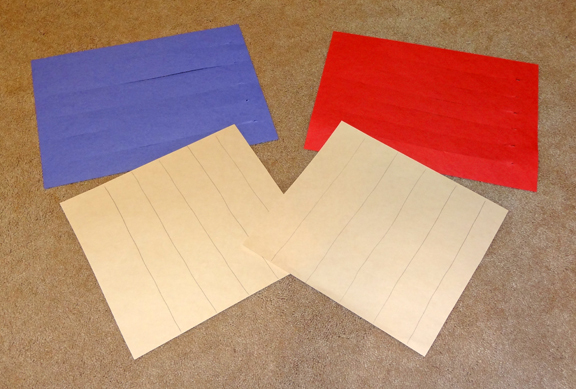 Next, I cut horizontal lines into sheets of red and blue construction paper. Note that the horizontal lines on the red and blue paper start and end about 1″ from the edge of the paper; you will need to poke your scissors into the paper near the edge and cut across without cutting all the way through. 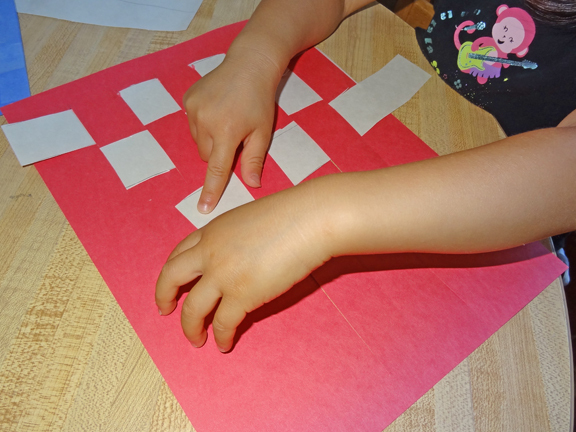 After I cut the red and blue paper, I added tape to the edges where the cuts stopped in order to prevent them from tearing once the kids began working with them. Now that the kids have pretty decent scissor skills, I let them cut the white paper into strips. 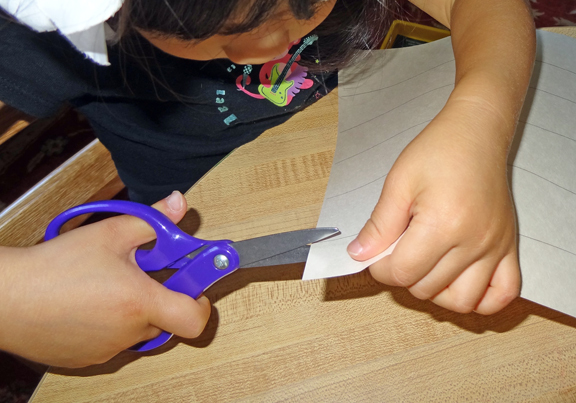 If your children are older or have better scissors skills, you may not need to draw lines on the white paper. 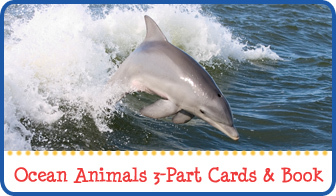 And if they are really good, you may not need to pre-cut the colored paper either. Once QBoy and XGirl had their strips, they wove them into the colored paper. We repeated “over, under, over, under” as they worked to help them see how to weave the paper. 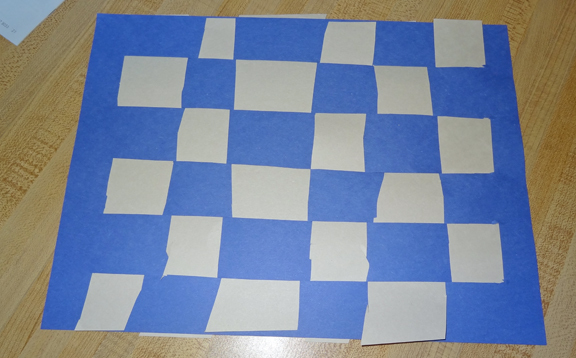 Note that to get the checkered look, the white strips need to alternate between going under and going over when first inserted into the colored paper. 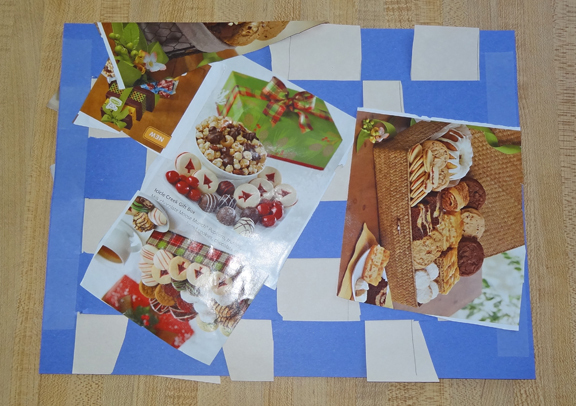 And when the kids finished weaving their white strips in, they ended up with beautiful checkered place mats to create their own picnic. 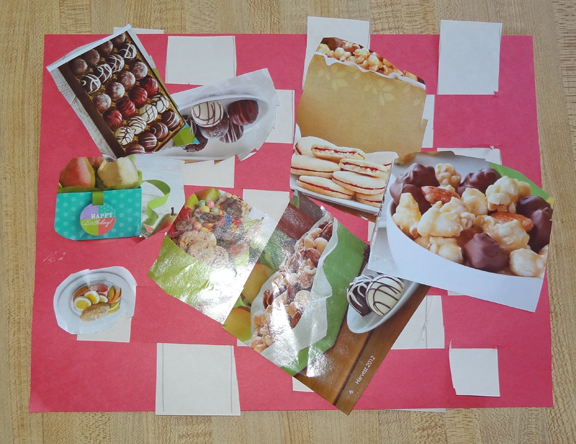 After the kids had finished their place mats, I handed them some magazines filled with pictures of food. 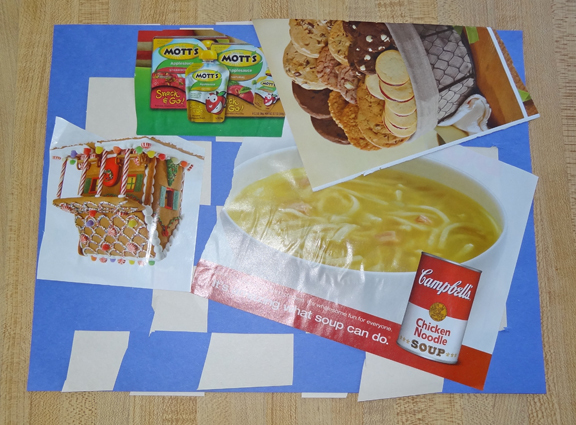 They selected which foods they wanted to bring to their picnic and began to cut them from the magazines. 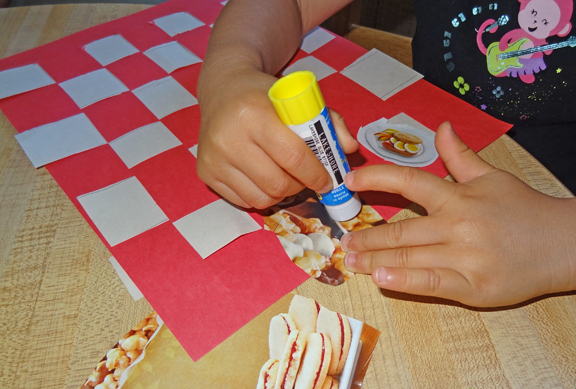 Once they had selected all their food, they used glue sticks to affix the food to their place mats. 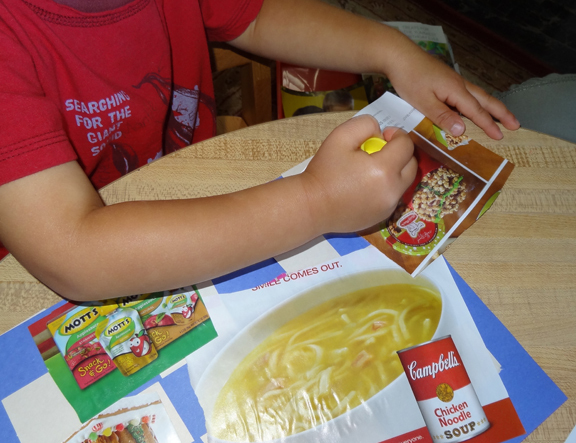 As they cut and pasted their foods, we discussed the nutritional value of the various foods and which ones are “eat every day” foods and which ones were “eat just once in a while” foods. In the end, they each created quite a feast!. This was how XGirl’s picnic turned out! QBoy had so much food that his picnic ended up taking up both sides of his place mat! This fantastic craft not only tied very nicely into the book we read, but also provided an opportunity to work on so many other skills, including fine motor skills (cutting, paper weaving), nutrition knowledge, sensory experiences (especially with the glue), patterning (over, under, over, under), social skills (since we talked about what food each kid would share from their picnic), and more! That’s really sweet of you to say. Hope you enjoy your time off with your kiddos! I love this idea! I’ve often thought about doing a Teddy Bear Picnic. What a neat idea! It’s always good to check out new crafts. What wonderful fine motor work! I love handmade mats! 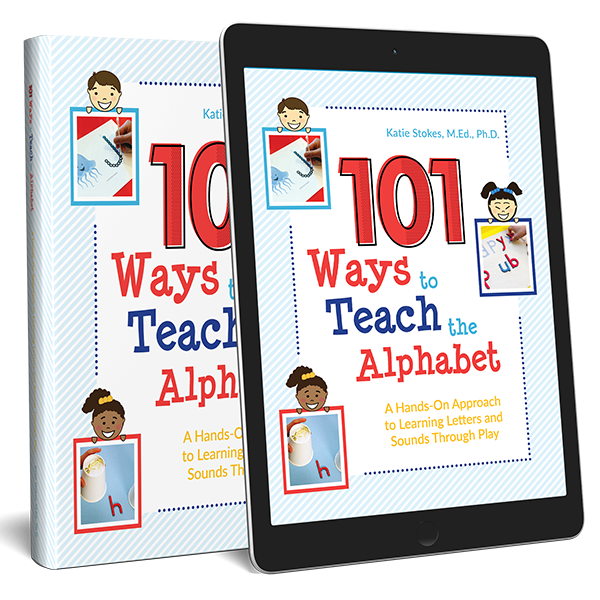 This is a great way to explore a book! I will be sharing this post. What a cute idea! 🙂 Looks like you all had a lot of fun together. 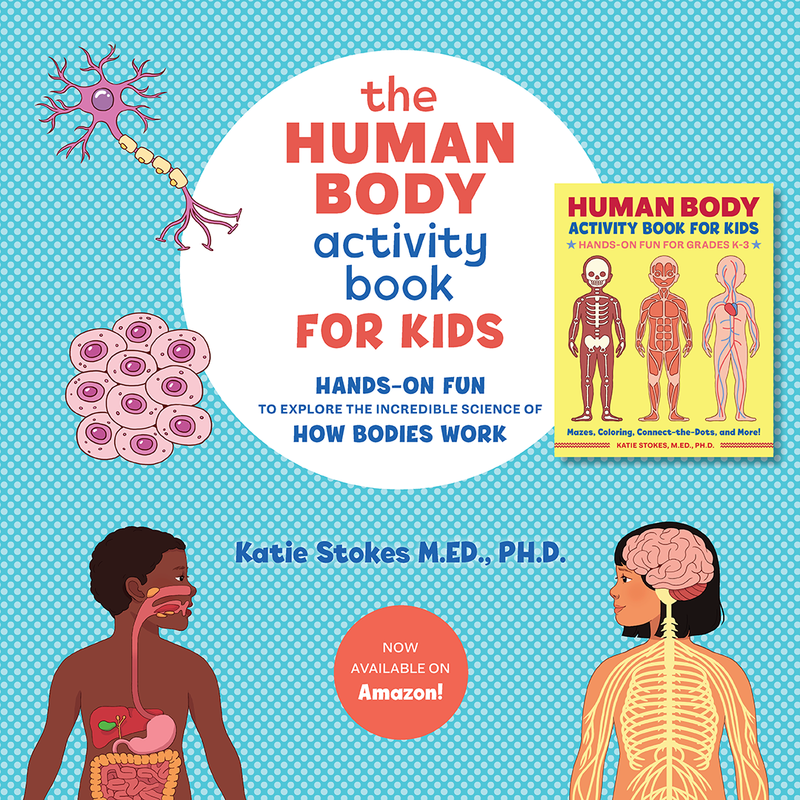 What a great activity to go with the book. Thank you for sharing at Sharing Saturday!